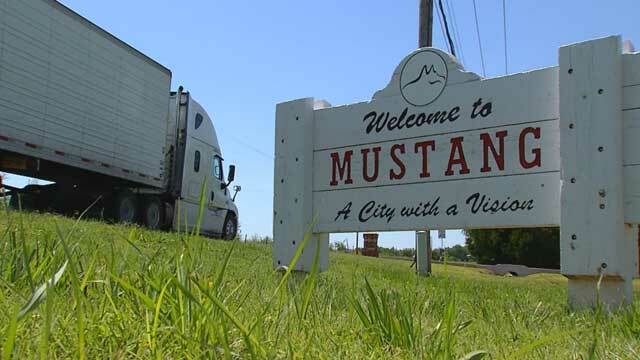 Edmond Tree is proud to serve Mustang, Oklahoma in a multitude of ways! Our expertise is ideal for Mustang’s majestic oaks and widespread elms, and we have been so grateful for the trust placed in our services by members of this exceptional community. There are many landscaping projects homeowners can do themselves, but removing an unwanted, diseased, or damaged tree requires the kind of know-how and tools you can only find in a reputable professional. Likewise, stumps can be a stubborn nuisance and to remove them a near impossible task. You want someone to do it right the first time. Edmond Tree has not only the equipment, but also the skill to remove the tree or stump quickly and completely while keeping your family, property, and the crew itself safe. Trimming trees is an important part of keeping them healthy and optimizing their growth and curb appeal. For many of the iconic trees in Mustang, this means climbing high and removing substantial branches. Edmond Tree is proficient and adept at tree-trimming. Our expert crews masterfully identify problem areas and only remove what is necessary to maintain both the beauty and health of your landscape. We also provide tree cutting for removing entire sections or for particularly large branches posing a risk to the tree or the surrounding area. We know you will be impressed by the speed and ability of our crews to handle all types of native Mustang trees with excellent, attentive care. Speaking of specialized care, a particularly unique service we are excited to offer is tree cabling and bracing. Some of the gorgeous multi-trunk or wide-canopy trees indigenous to Mustang require a little extra support and Edmond Tree is more than happy to help! We are proud to be able to keep these unique and stunning trees safe, healthy, and growing strong with our structural services. Edmond Tree is also proud to be your go-to for wood chipping and brush clearing. We know that Mustang residents love to keep their properties free of debris, but the overgrowth can be a daunting obstacle! Just give us a call, and we will gladly come out to take care of loose wood around your property and haul away any extra brush so you can enjoy your rubbish-free view! If you want to add to that view, Edmond Tree is eager to provide expert tree planting services! We know precisely which species grow best in Mustang and can help you find the perfect spot on your property. Give us a call to get started in choosing your next bit of green! Edmond Tree offers these and much more services to help you in creating and maintaining your paradise. We are passionate about the incredible foliage in Mustang, and we know that our skilled crew will provide you and your property with expert care. Call us today!